Looking for an awesome Christmas card? Or a cool gift for a baby or a child? Then you should visit Moon! and Sparrow baby products and prints. 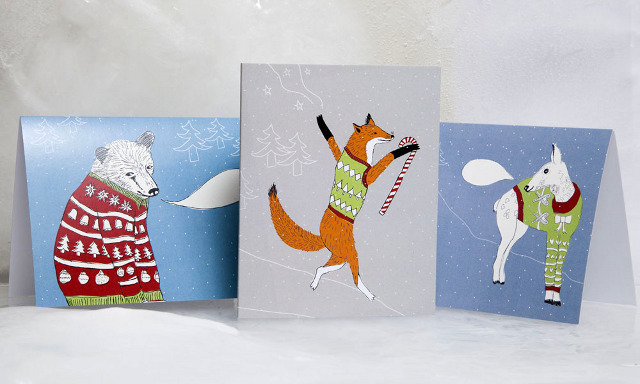 Sandy is the illustrator behind all the products and the illustrations are drawn and printed by hand in Montreal. Her drawings are quite cute and childish! See for yourselves.